Ken Aptekar is an artist who combines painting with text. He paints new versions of historical paintings and frames, bolting glass with sandblasted words to his painted panels. Aptekar’s work belongs to the tradition of painting, yet he brings to that tradition a recognition that paintings produce meaning only through their interaction with viewers. He investigates the nature of spectatorship. By “recreating” works of art in a painterly but utilitarian manner, Aptekar promotes viewers’ own narratives prompted by the image-text combinations. He overlays his own responses to the historical works, too, alongside those of audiences he invites to look at paintings with him in museums. Often his and others’ responses would be considered unorthodox in a traditional museum or gallery setting—the sort you think but don’t say. Yet when engraved in glass and seen in a work of art, the comments lend an encouraging legitimacy to viewers’ own particular responses. In recent years Aptekar has started producing videos in addition to painting. 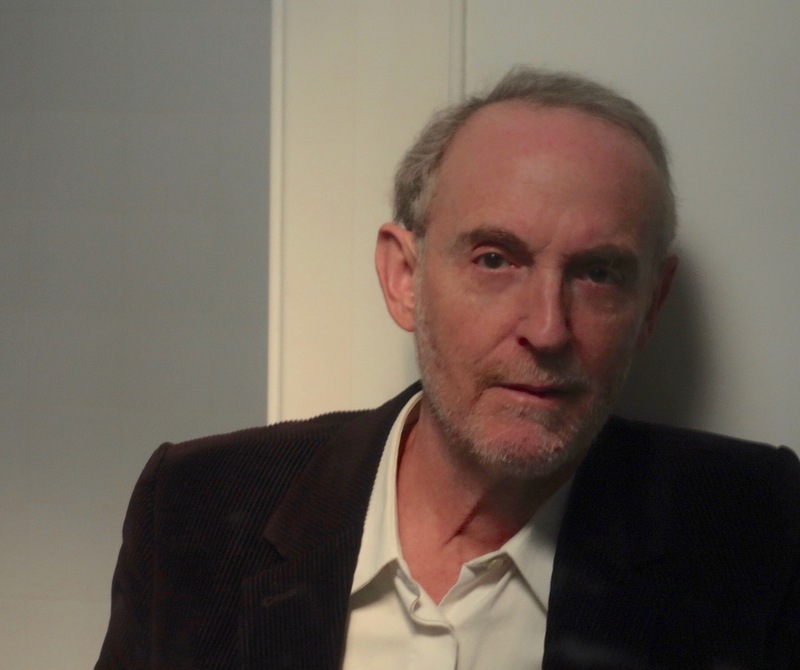 The videos continue his efforts to bring contemporary points of view to the history of art. Born in Detroit, Michigan, in 1950, Aptekar received his BFA at the University of Michigan, then moved to Brooklyn in 1973 to complete an MFA at Pratt Institute (1975). From February 7 through May 29, 2016, a major commissioned solo exhibition, NACHBARN (“NEIGHBORS”), was on view at the St.-Annen Museum in Lübeck, Germany. Previously, his work has been seen in solo exhibitions at the Victoria & Albert Museum in collaboration with the Serpentine Gallery (London), the Corcoran Gallery of Art (Washington, DC), Memorial Art Gallery (Rochester, NY), Centro da Cultura Judaica (Sao Paolo, Brazil), Musée Robert Dubois-Corneau (Brunoy, France), Espace d’Art Contemporain Camille Lambert (Juvisy, France), The New Museum (NY), Douglas Cooley Gallery at Reed College in Portland, OR, Palmer Museum at Penn State, Cummer Museum (Jacksonville, FL), the Contemporary Art Center of Virginia, and the Elaine Jacob Gallery at Wayne State University in Detroit. In 2012 Aptekar’s work was the subject of a survey exhibition, “Ken Aptekar: Look Again,” at the Beard and Weil Galleries, Wheaton College, Massachusetts. A mid-career retrospective of his work, Ken Aptekar: Painting Between the Lines, 1990-2000, organized by the Kemper Museum of Contemporary Art in Kansas City, completed its tour in the United States in 2002. Solo gallery exhibitions include Wasserman Projects (Detroit), Bernice Steinbaum Gallery (Miami), Pamela Auchincloss Projects, Steinbaum Krauss Gallery, Jack Shainman Gallery, and Bess Cutler Gallery (all in NYC). Aptekar’s first solo exhibition with the James Graham & Sons Gallery in New York took place in May-June, 2006; his second, a show of portraits, was in March-April, 2010. A new work commissioned by the Contemporary Jewish Museum in San Francisco was on view there as part of the exhibition “As it is written; Project 304,805.” Aptekar’s work was also seen at the San Antonio Museum of Art in “The Missing Peace: Artists Consider the Dalai Lama,” and was the subject of a survey exhibition entitled “Some for Me, Some for You: Paintings by Ken Aptekar,” in Wilkes-Barre, PA, at the Sordoni Art Gallery, Wilkes University in 2008. His work was included in the Natural World Museum’s exhibition, “Moving Towards a Balanced Earth: Kick the (Carbon) Habit!” in Wellington, New Zealand, in 2008 as well. The Mint Museum commissioned Aptekar to produce a series of works based upon their portrait of Queen Charlotte by Sir Allan Ramsay for their new building in Charlotte, NC. In 2010 the works were unveiled to the public on the occasion of the museum’s opening. They are currently installed in the contemporary gallery there. Numerous group exhibitions include “Too Jewish? Challenging Traditional Identities” (Jewish Museum, NY),”The Perpetual Well: Contemporary Art from the Collection of The Jewish Museum,” “Beyond the Mountains: The Contemporary American Landscape,” “Going for Baroque” at the Walters Art Gallery in Baltimore, “Bad Girls (West)” at UCLA, and “The Other Man” at The New Museum. Aptekar is the recipient of two NEA Fellowships in Painting, a Mid-Atlantic Arts Foundation Award, a Rockefeller Residency at Bellagio, Djerassi Resident Artist Program and Ucross residencies, and a Pollock-Krasner Foundation Award. For his 2016 exhibition, Nachbarn (“Neighbors”), at the St.-Annen Museum in Lübeck, Germany, Aptekar has received grants from the Memorial Foundation for Jewish Culture and the New York Foundation for the Arts/Artspire/ Malka Fund. Among the museum collections in which Aptekar’s work can be found are the Jewish Museum (NY), Corcoran Gallery of Art, Victoria and Albert Museum (London), Kunsthalle St. Annen, (Lübeck, Germany), The Frost Museum (Miami, FL), Denver Art Museum, National Museum of American Art, Kemper Museum of Contemporary Art (Kansas City, MO), Contemporary Art Trust (UK), San Jose Museum of Art, Blanton Museum of Art (Austin, TX), Huntington Museum of Art, (West Virginia), Oregon Jewish Museum and Holocaust Study Center, Portland, OR, and in numerous private and institutional collections. Aptekar lives with the writer Eunice Lipton and divides his time between Paris and New York.